Does NTIA Have the Bureaucratic Courage to Measure Occupancy of 225-400 MHz? The chart below shows the context of this selection of frequencies to be measured. The report covers a 12 MHz wide band and a 14 MHz wide band, both in the VHF/UHF region. 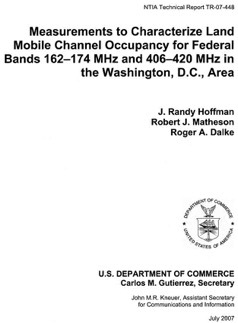 However, the 175 MHz wide almost exclusively Federal Government band at 225-400 MHz is not mentioned at all. Why? Sources at NTIA ay the answer is simple: IRAC, NTIA’s “advisory committee” of federal users that helps them in “assigning frequencies to U.S. Government radio stations and in developing and executing policies, programs, procedures, and technical criteria pertaining to the allocation, management, and use of the spectrum” forbid them to measure that “beach front property”. Why did IRAC not want to see data on the occupancy of that band? In almost all urban areas - the places where there is a shortage of commercial spectrum - the occupancy is low because the band is primarily used by military aircraft. DoD’s concerns over measurement of this band are several. The low occupancy might lead naive policy makers to reallocate the band to other uses while the situation is more complicated. The band is heavily used in some rural areas for training and could be heavily used in emergencies even in urban areas. Thus they would argue that fire departments should not have the same spectrum loading as taxis since they have vital peak demands during emergencies. BUT, why hide the data and why not consider possible new spectrum use models based in “interruptible spectrum” concepts where DoD could preempt commercial use of the spectrum on a moment’s notice? Measurement of the band’s occupancy might reveal critical security information. 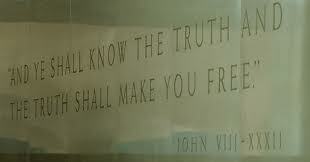 Did the Shared Spectrum data above reveal such information? The Russians already have diplomatic facilities in New York, San Francisco, Seattle and Houston. The Chinese have them New York, Chicago, Houston, Los Angeles, and San Francisco. Thus key countries that have tensions with the US can readily measure for themselves the rough information given in spectrum occupancy studies. Withholding it from US policy makers and elected officials would not appear to be a valid security measure. 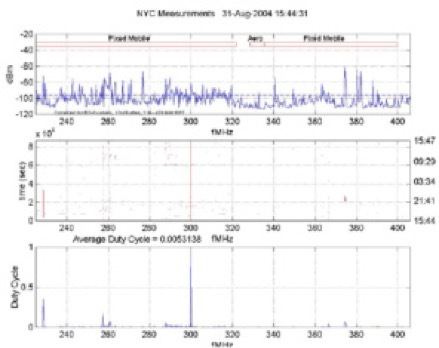 There is no need to show which frequency channels are used vs. unused, a histogram of channel occupancies would be adequate for policy purposes. It is hard to believe that any channel occupancy data in this band reveals properly classified information. The US military has to negotiate for access to this band in other countries where we have bases and showing any “softness” in this band with respect to civil use might send the wrong signal to host countries. Probably. But spectrum is now a major input factor into GDP growth and making life easy for Politico-Military Affairs officers in US embassies overseas probably should not be a dominant factor in domestic spectrum decisions. New technologies could allow sharing of this band with preemption as discussed above and DoD and State department can explain to our allies how the new technology allows new options that they might wish to consider also. During my nearly 25 yeas at FCC I never recall any NTIA hard data on the 225-400 MHz band use in urban areas - not even on a classified basis. Now without the promise of cognitive radio/dynamic spectrum access technology, sharing was not feasible for the reasons discussed above. But things have changed and new policy and technology options are now available. Shouldn’t we at least see some hard data on this key issue of how much this band is used in the areas of major spectrum congestion?